UPND Vice President Geoffrey Bwalya Mwamba says it is unacceptable and unhealthy for government to fail to pay its workers’ salaries on time. Some civil servants, council workers and university lecturers have still not been paid their February salaries, prompting Dr. Mwamba, commonly known as GBM, to demand an explanation from President Edgar Lungu as to where he has taken the country’s money. 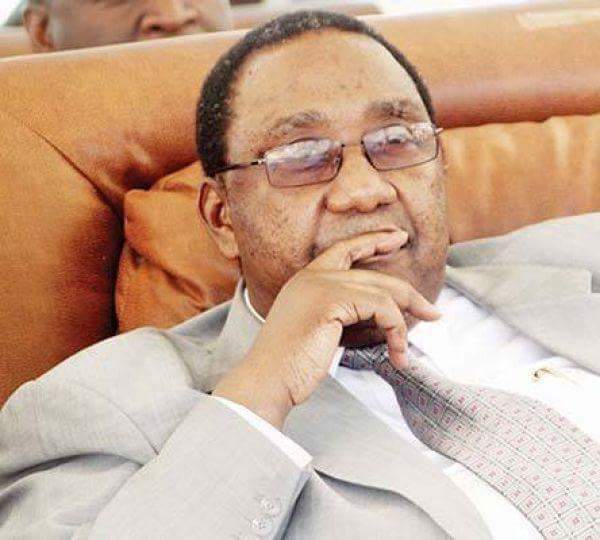 In an interview with Zambian Eye, GBM said: “It is unacceptable for the PF government to delay salaries for civil servants. This is not healthy. But what we would like to find out from the PF government is where has the money gone to? In the history of Zambia, at no time have salaries been delayed to such an extent where they go almost into the second month without being paid. Our biggest question as opposition is where is the money? We would like a statement from President Lungu Himself. Let him tell us where he has taken the money. The UPND strongman regrets that the worker’s families are now forced to survive on high interest loans, commonly known as kaloba. “You see, families now have to go and borrow kaloba…after the 30th day in order to survive and that kaloba attracts 20% monthly interest, which is quite huge! So if you borrow K1,000 you have to pay back K1200 and your salary is only K2,000…you have already lost K200 out of your salary. So I think this is not acceptable and we need a proper statement from President Lungu,” GBM stated. The Jesuit Centre for Theological Reflection, in statement issued on Saturday, March 23, blamed the government’s failure to pay its workers on time on the “unrestrained abuse of public funds by those in power”. “JCTR notes that among the causes of the delay in salaries is the huge debt burden which the country is currently owing and servicing. According to the economic and treasury brief for March 2019, “As at end of December 2018, external debt stood at USD 10.05 billion and domestic debt stood at K58.3 billion”. Beyond debt, the unsympathetic abuse of public funds by those in power has been devastating and has contributed to reduced government coffers resulting in delayed salaries. For instance, the 2017 auditor general’s report showed that wasteful expenditure increased from K 3,586,879 in 2016 to K 7,865,395 in 2017, misappropriation of funds increased from K 3,618,127 in 2016 to K 5,036,051 in 2017 and irregular payments increased from K 1,591,348 in 2016 to K 21,791,360 in 2017,” reads part of the JCTR’s statement. This country is not heading any where with our current president.